As the Great Rift tore the known galaxy in half the Imperium was embroiled in a century of conflict. Wars on a massive scale waged abroad, Primarchs rose from the dead and Chaos subsumed thousands of systems. And amidst all of this small systems were all-but destroyed almost without note. 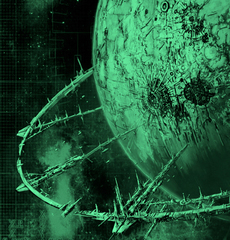 Argost is one such system, once a thriving Imperial settlement and now a waystation for pirates, criminals and outlaws hiding from the light of the Emperor. Originally settled by a now destroyed Rogue Trader House, it was brought to the Emperor's light thousands of years ago and served as the last port of call before travellers made their way into the Ultramar Segmentum. During the Great Rift it was cut off from the Imperium, it's defence ships abandoning it due to a predicted horrific warp storm that never came. For hundreds of years Argost has just existed, against the odds. Wracked by splinter fleets from nearby wars against remnant chaos forces, raided by the Eldar of Craftworld Yr-Khan and besieged from within by Rogue Trader houses and Ork uprisings the system has someone survived and thrived. Abandoned by the Imperium and ignored in the wars that followed the Rift it became a hive for those wanting to avoid the eyes of the Throne. 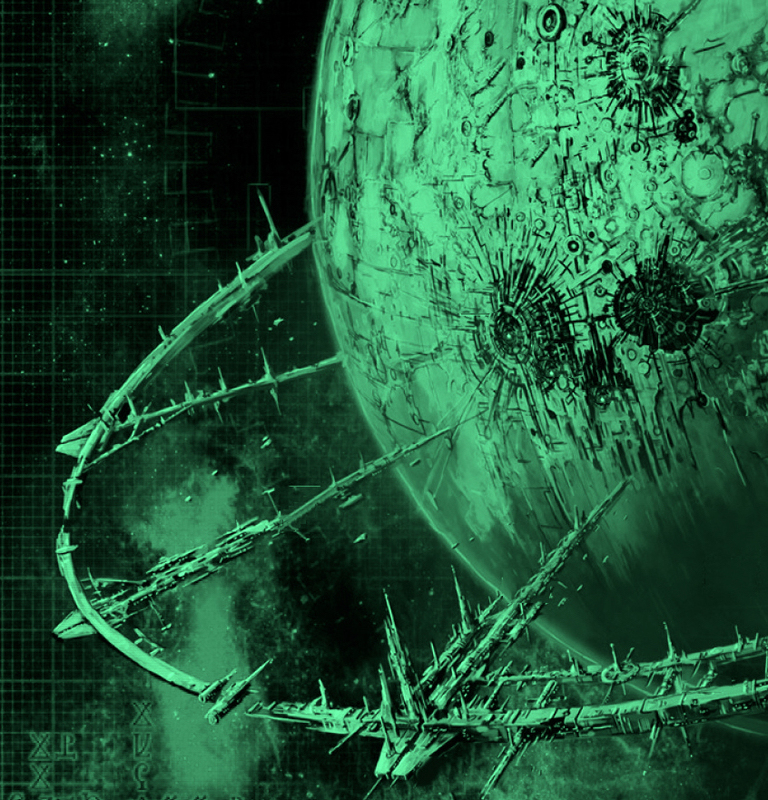 In 111.M42 it sits as a bastion of lawlessness, a new frontier within the Imperium itself where aliens, heretics and outsiders mingle on the Imperium's doorstep. Near the edge of the system is a labyrinth of twisted metal and ruined starships. Hundreds if not thousands of hulks drift here- the remnants of the war to reclaim the system millennia ago combined with newer wrecks drawn to the area. Scavengers roam the area and rumours persist of older more terrible evils lurking in the depths of the graveyard. Few voidships in the Graveyard are known, so long ago were most lost. But among the indistinguishable wrecks a few noteworthy vessels stand out. An ancient ship of little-known providence, the Iron Maiden is a grand cruiser from before the keeping of records. She bears the signs of the Machine Cult, although they are olden and unused in the current age. The Iron Maiden has long since been picked clean by the Lost Reclaimers, as well as other more piratical-minded groups. The most persistent rumour in the Graveyard is of the Leviathan, a massive conglomerate of ruined ships and asteroids smashed together by the gravity riptides of the outer system. In this labyrinth of twisted metal it is rumoured foul beasts beyond count and understanding lurk the halls. New ships are added to the Graveyard every year as small conflicts inevitably create new hulks. The Canticle of the Omnissiah was a light-frigate often called upon to perform lightning strikes against enemies known to house valuable relics of the Machine Cult. In 106.M42 a chance encounter with a trio of Tau escorts left the Canticle scuttled at the edges of the system, and she drifts closer to the graveyard with every passing cycle. 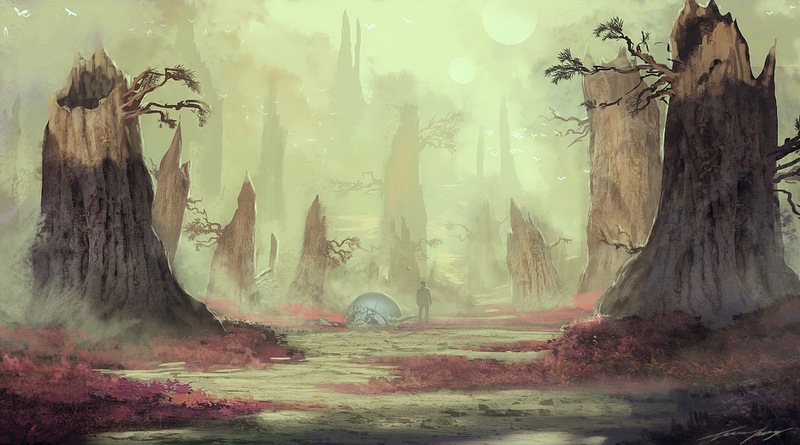 Argost Beta was a thriving Imperial planet with bustling hives and large swathes of farmland that helped feed the system and the wider region. A ring of terraforming technology helped keep the planet in peak harvest all year round. The Ring was held in place by five mega-elevators, transferring product from the surface to the waiting ships. All of this changed when the Imperium abandoned the system. The technology went unmaintained and eventually failed, causing a massive backlash in the atmosphere of the planet. Now the once verdant plains are muddy ruin, rocky outcrops and hills covering most of the planet between now decrepit cities. There is almost constant rain, cloud cover keeping the planet in half-light for every hour of the day. Cities sit at the base of each elevator, now transporting people to the surface to work in mining or salvaging operations. Each city is named after a wife of the Rogue Trader of old, from the smaller cities like 'Beatrice' to the almost hive sized messes of 'Amelia' or 'Prudence'. These cities are lawless places, each owned by a different gang or trader house and operated as private fiefdoms for whomever has the biggest gun. Trade from the planet goes through here and many who operate subsistance farms in the mud plains pay tithes to one city or another. The lifts from these cities grow beyond the clouds and out into the Ring that loops around the planet. The Ring itself serves as a port of sorts, ships anchoring along its rim and trade taking place in the winding corridors of and abandoned engine rooms of the once-great machine. The Ring is run by a Merchant's Council, a group of corrupt businessmen for whom profit is the only priority. If it does not harm profit or trade then it is not their concern and their cudgel wielding enforcers are known to ignore problems whatsoever if they don't come within the Council's prevue. Nevertheless they are the law on the ring, keeping the peace with brute force if necessary and maintaining the fragile balance between chaos and order. Limbo takes its name partially due to the perpetual semi-darkness the planet endures but also for its placement in the system. There is still some Imperial presence on Limbo, a weak grip that is rarely tightened but nevertheless exists. The Cruiser Spear of Uldren sits in orbit above the planet alongside hundreds of other warp capable vessels, sending its naval armsmen on token raids occasionally when anything too unpalatable appears in the Ring. The odd xenos-trader will be raided or heretical cult broken up but when xenos and renegades walk openly in the halls it is clear their power is tokenistic. Limbo is the last vestige of Imperial control in the system and quite literally the point at which the criminality and chaos of the inner system meets the control of the wider Imperium.